Arguably one of the most recognizable beer styles, the German-style hefeweizen offers a striking beer experience thanks to the use of distinctive wheat malt, unique yeast and uncharateristic appearance. This wheat beer breaks from the German beer mold, showcasing yeast-driven fruit and spice as well as bearing an eye-catching mystique. Don’t let the cloudy hefeweizen deter you, this beer is one of the world’s most enjoyable styles for beer geeks and neophytes, alike. The refreshing qualities of this highly-carbonated style have kept it alive for centuries. Try one for yourself and experience why that is, firsthand. The German-style hefeweizen is straw to amber in color and brewed with at least 50 percent malted wheat. The aroma and flavor of a weissbier comes largely from the yeast and is decidedly fruity (banana) and phenolic (clove). The intensity of these wildly differing flavor qualities varies depending on the brewer, but the two are most commonly balanced. Hefeweizen typically contains a low to moderate alcohol content and is considered to be the most popular amongst the German weissbier variety. In German, “hefe” refers to the yeast which remains in suspension giving the German beer its cloudy appearance, and “weizen” denotes the use of wheat. 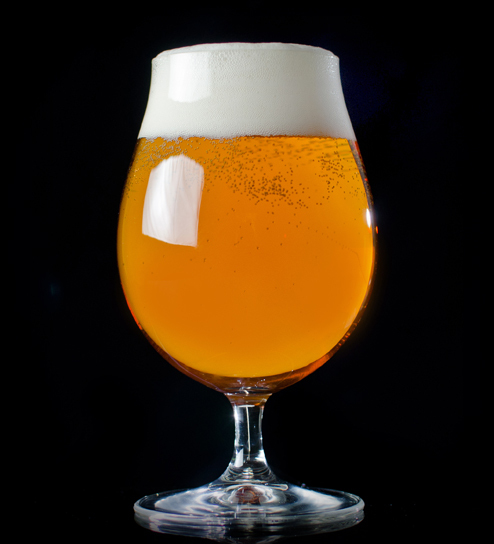 This wheat beer is at its best when poured into a weizen vase, a large curvaceous glass which showcases the beer’s beautiful glow and corrals its large, persistent foam cap given the style’s characteristic effervescence. A German weissbier must showcase the weizen yeast’s one-two punch of fruit and spice to be recognized as a German hefeweizen. 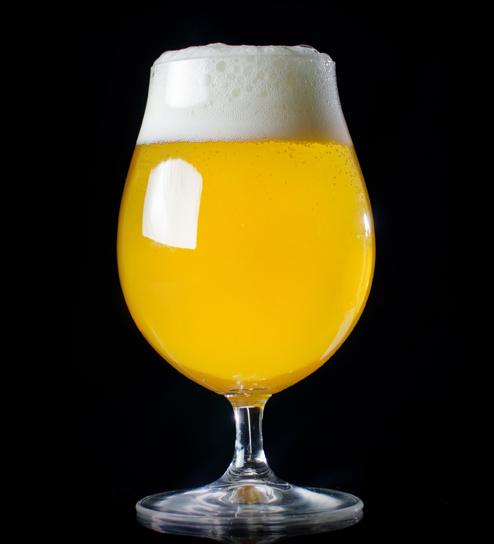 The bright fruitiness of banana alongside the pungency of clove allow this beer to work well with a variety of lighter foods, such as salads, seafood and even a variety of egg dishes. German hefeweizen beer, like any other beer, tastes best when freshly poured at a brewery, and we want to help you find the breweries near you that serve the German hefeweizen that you seek. Use our “Find a Brewery” feature to locate breweries based on your location or search for a specific brewery by name. You can even search by state to find a small and independent brewer near you in order to track down your next favorite beer, which could be a German hefeweizen beer. Finding your next favorite German hefeweizen doesn’t have to stop here. If you enjoy the website and are interested in a convenient way to learn more about German beer, or any other kind of beer for that matter, sign up to have our newsletter delivered directly to your inbox. DreamWeaver Wheat, Troegs Brewing Co.
Ebel's Weiss, Two Brothers Brewing Co.